Nondenominational Community Worship Service | Lincoln Days Celebration, Inc. The Lincoln Days community worship service will be held at 11 a.m. on Sunday, October 7. The service is hosted by Lincoln Days. This year’s service will be located on the main stage in downtown Hodgenville, near Laha’s Red Castle. This year’s service will feature the Campbellsville University Chorale. The Chorale is the premiere mixed-voice ensemble at CU’s School of Music. Featuring both music majors and non-music majors from across the university, they perform a wide variety of both sacred and secular literature. 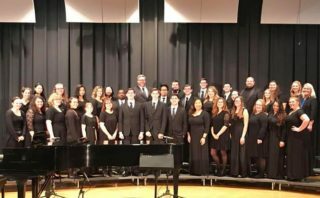 The Chorale is frequently featured at campus events such as Chapel services and Homecoming, as well as serving the surrounding communities through participation in various church services, local events, and an annual outreach tour to Kentucky high schools. University Chorale is conducted by Dr. Bethany Stiles and accompanied by Dr. Bill Budai. The speaker this year is Steve Watkins. 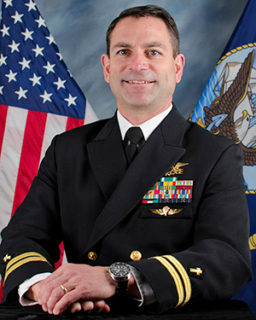 He became a Navy SEAL in 1988 and served for over five years at SEAL Team Five. Steve distinguished himself as a SEAL conducting missions behind enemy lines and earning combat decorations including the Navy Achievement Medal with Valor for participation in Operation Desert Storm. He went on to become a sniper, sniper instructor, and taught on SEAL Team Five’s training cadre for over one year in counter-terrorist operations. Watkins currently serves as Adjunct Professor of Christian Studies and Classics at the University of Louisville, and as Pastor of Munfordville Presbyterian Church. An offering will be received during the service that will benefit the Hope and Magnolia Food Pantries in LaRue County.